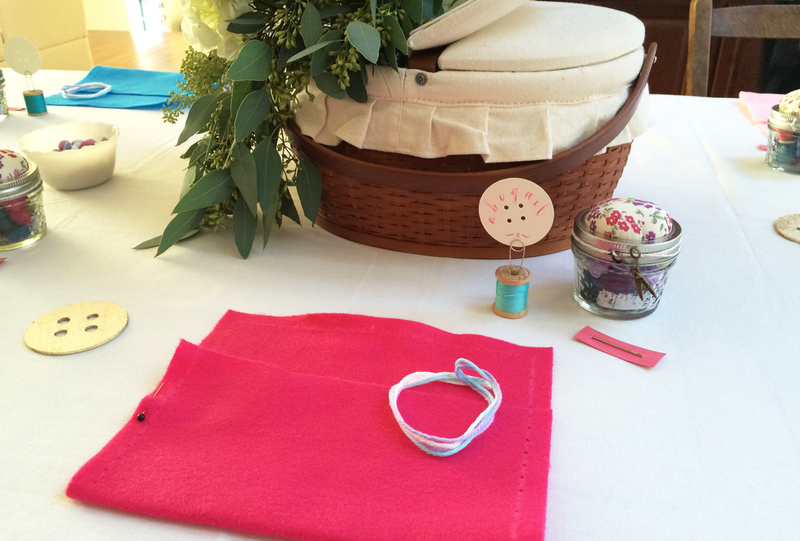 Sew Wonderful to Have You! 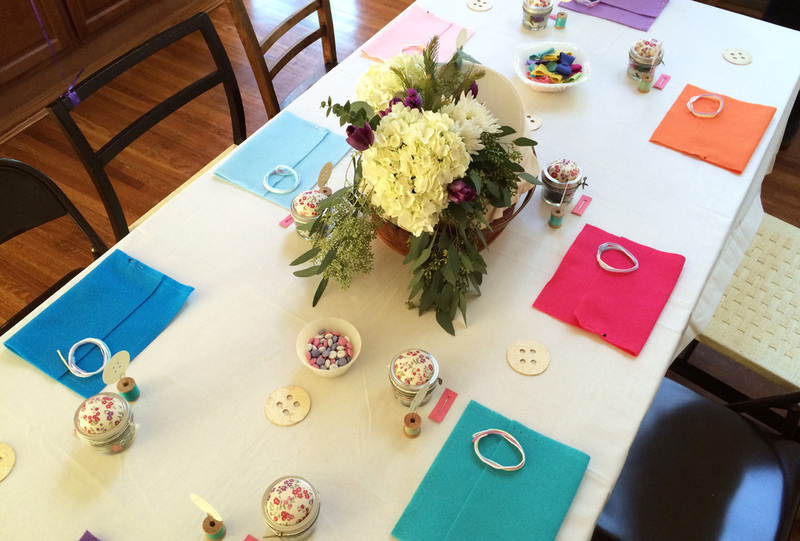 Birthday Sewing Party in Rye Brook, New York. 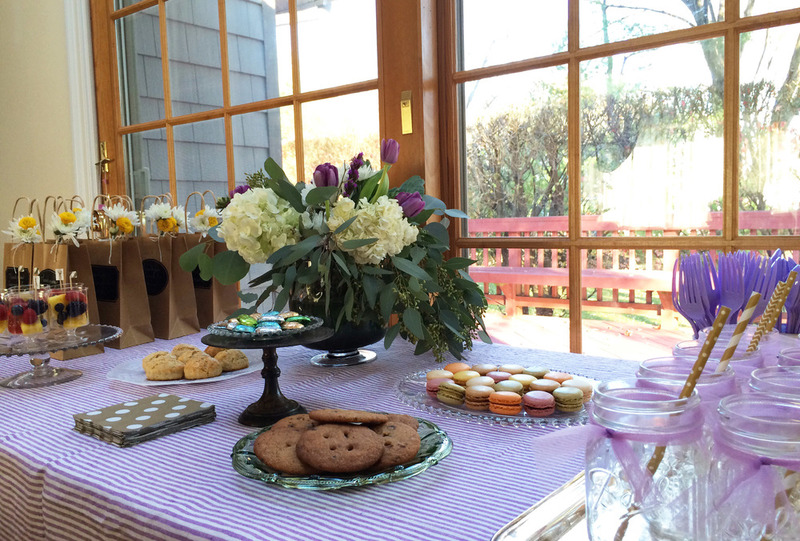 Rye Brook, New York — Last year I had a wonderful opportunity to collaborate with my sister Maria Reyes and our friend Mami Sato, who hosted a sewing party for her daughter Hibiki. Not only is Mami an amazing and patient mother but she is an imaginative artist and seamstress. It was fitting that she should share her crafting talents with Hibiki's friends. Mami, with Maria and I serving as assistants, set out to teach the girls how to sew a felt patch into a fashionable clutch/purse. Articulating how to do a loop stitch is not an easy thing, but the girls really took to the task and created really inventive and individual designs. It was nice to see the girls make something with their own hands. Hopefully, Mami planted a creative seedling in the young ladies to pursue handmade work into the future. Calligraphy and lettering by Handmade Letters; food and prop styling by Maria Reyes; and floral arrangment and prop sourcing/styling by Mami Sato. 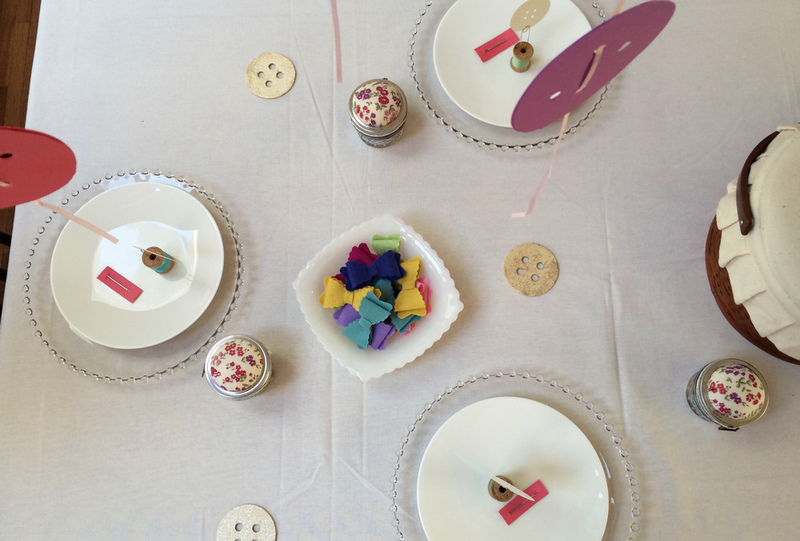 Place setting for the birthday girl Alice. 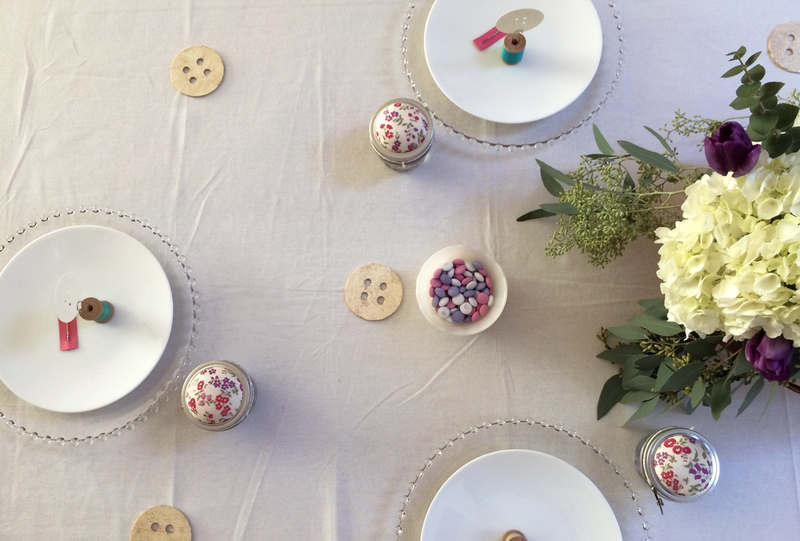 Place setting for one of the dinner guests. 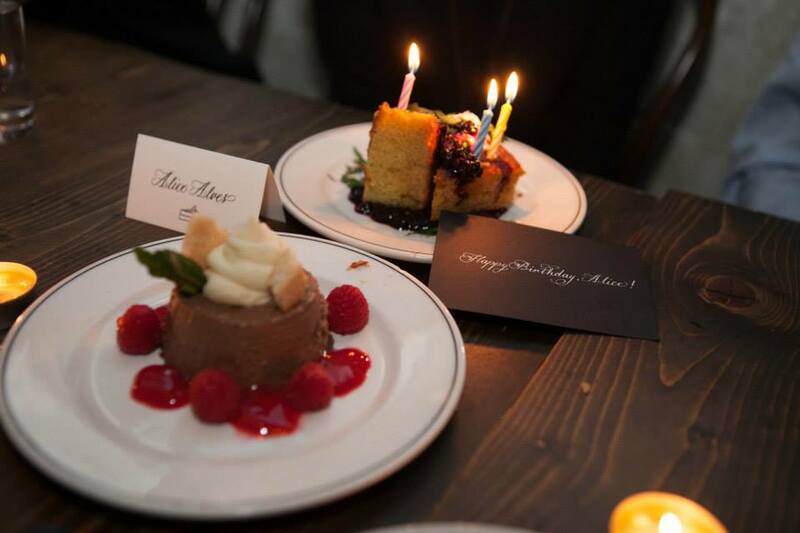 My client graciously shared her beautiful photos of my place cards in situ at Alice's birthday dinner.